At Eyesight Opticians, we supply all manner of contact lenses in Tipperary. All our locations across the county stock a full range of contact lenses of all makes and varieties to suit the needs of every customer. We provide contact lenses in Tipperary at great value prices and our helpful staff members are always on hand to provide practical, expert advice and answer any questions you may have. As leading suppliers of contact lenses in Tipperary we pride ourselves on providing the best available range of products at the most competitive prices and delivering a quality service that is second to none. Through this combination of quality products and services we aim to meet the needs of all those who require contact lenses in Tipperary. 1. Daily Disposables : Ideal for social and sport. There is no cleaning with this type of lens just wear once and throw away. 2. Monthly Disposables: Ideal for every daywear. These lenses need to be cleaned nightly. They are worn daily for 30 days and then disposed of monthly. 3. Gas Permeable: Ideal for long term use can take some time to get used to but can provide good vision in difficult prescriptions. 4. Continuous Wear (All day/All night): You can wear these lenses for 30 days and 30 nights continuously. 5. Toric Disposables: ( Daily, Monthly, Yearly Toric) These lenses are fitted with patients with astigmatism. 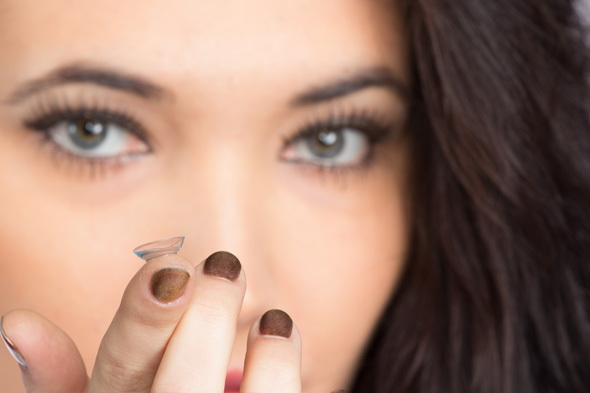 6.Tinted or Coloured Contact lenses: These contact lenses change the colour of your eyes. 7.Multifocal Contact Lenses: If you are over 40 multifocal contact lenses may be an option they offer the best of both worlds no spectacles along with good near and distance vision.